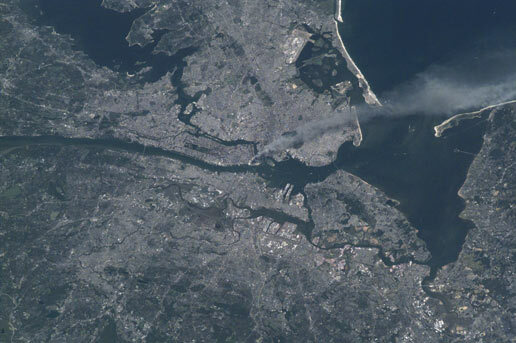 For those of us alive on 9/11/2001, it is a day that will be permanently burned into our memories. I was transported back in time as soon as I turned on the TV, and saw the images of the planes, fire engulfed World Trade Center buildings, people covered in dust, and the police and firemen rushing to help them all. I had goose bumps on my arms and tears in my eyes as I watched the video from that morning. I remember clearly how my co-workers and I were glued to the TV in the conference room. We watched with horror as the second plane hit, the towers collapsed, the Pentagon was hit, and then word of the plane in Pennsylvania that went down. It took hours and hours for me to be able to get home to my children that day. All I wanted to do was tell them how much I loved them. I don’t think I’ve ever hugged them as hard or as long as that afternoon when we were finally all home. 9/11/2001 was a wake up call to remind us that we are not invincible or protected from terrorism because we live in the United States. It forever changed how we do things. We lost our innocence. It’s been twelve years and lots of things have changed since then, things we now take for granted. But we need to remember how we felt that day. The horror, the love, the sadness and most of all how we were all drawn together as one. I was at work when a co-worker who was off that day called me to tell me a plane just hit the first tower. We watched TV in the owners office to see the 2nd plane hit. It was a mind numbing day for all of us as we watched it pretty much non stop all day. Not much work was done. I was very glad to hug my children that afternoon when they came to the office after getting out of school early. No matter how many tragedies we have suffered since, this is still the most vivid in my mind. Thank you for sharing your story, Elizabet. We stopped working in our office too. I don’t think much work was accomplished anywhere that day. It’s hard to believe it was 12 years ago.